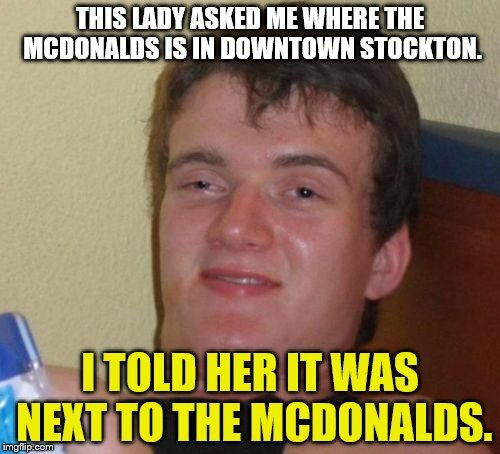 One of my classmates in history was asking where the McDonalds in downtown Stockton. 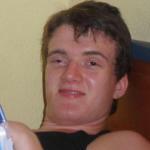 I said by the McDonalds by accident lol. 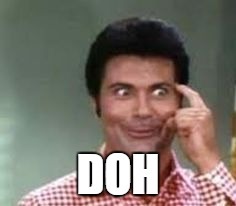 THIS LADY ASKED ME WHERE THE MCDONALDS IS IN DOWNTOWN STOCKTON. I TOLD HER IT WAS NEXT TO THE MCDONALDS.